Net deposition in estuaries is often linked to the estuarine turbidity maximum zones, in which fine, cohesive sediments accumulate due to residual transport by the estuarine circulation and tidal asymmetries. Sediments deposit in fairways or harbours, which creates high maintenance dredging costs and the need for better prediction of dredging hotspots with process-based numerical models. 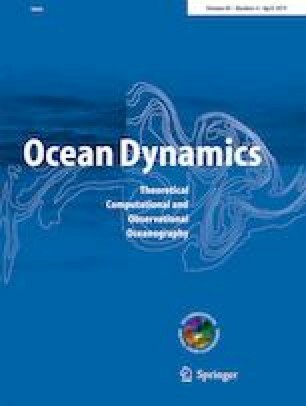 In this paper, a new efficient modelling approach is presented which enables the simulation of the ETM formation, its seasonal dynamics and the local sedimentation. A 3D baroclinic large-scale estuary model with a characteristic sediment fraction with simplified sediment transport properties is used with realistic boundary conditions, but without initial sediment distribution. This approach is referred to as supply-limited, regarding the ETM formation by residual transport. A dynamic equilibrium between residual sediment import from the open boundaries, accumulation and local sedimentation establishes in the model. This is achieved by combining the large-scale supply-limited model with an extended bed exchange formulation (2-Layer-Concept). A model of the Weser estuary is used as case study to reproduce and analyse the ETM formation and the resulting sedimentation simulated with this approach. The results are compared with the equivalent sediment concentration of turbidity measurements and dredging volumes. This work was funded by the research and development programme of the Federal Waterways Engineering and Research Institute (Bundesanstalt für Wasserbau, BAW).